Double Is a Twin bedded room with it's own large bathroom and spectacular Views of our own Farmland and woods. 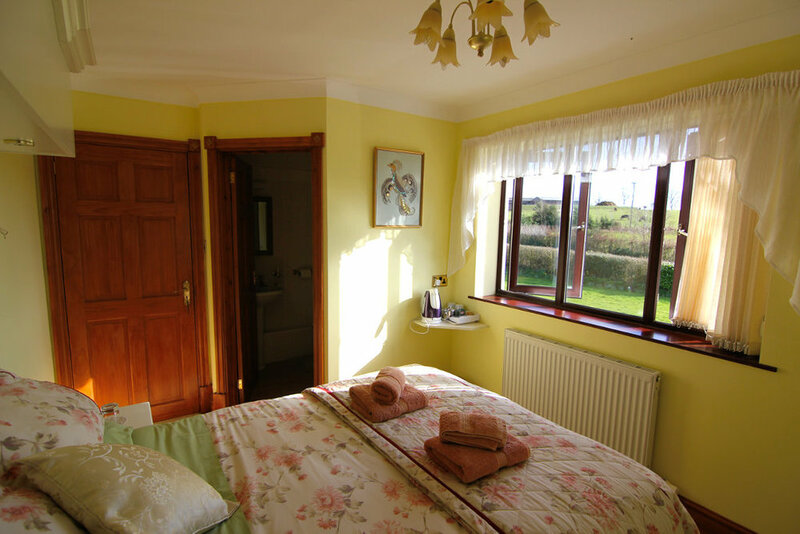 Is a cosy South facing Double/Single bed Room with En-suite Shower-room. It looks out towards the Black Mountains. Offers are available at certain times of year. Has a Double old-fashioned Wrought Iron Bedstead (Very Comfortable) and it's own En-suite Bathroom. It over looks the Lawn and has beautiful views of the Welsh Countryside.